ASUS's tablets don't exactly have a clean record when it comes to manufacturer defects, and the Nexus 7 doesn't appear to be any better off. 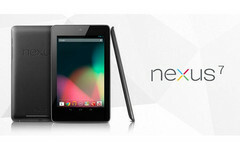 According to multiple users on the XDA-Developer’s forum, the Nexus 7’s screen has a noticeable creak during usage which may progress to a slight raising of the screen. The culprit appears to be a few loose screws that ASUS forget to tighten, and they can be manually fixed by popping off the back cover and getting to work with a precision screwdriver. Folks out there that have encountered the problem and are looking to un-creak their Nexus 7 are encouraged to head over to the XDA forums (source link), where they can find a more detailed explanation. On the other hand, if you’d rather not take the risk of damaging your device you can always switch it in for a new one, although that may take a bit of time.